Currently about 6000 languages are spoken on the world. Most of them will disappear soon – and together with them a meldodic richness of human expressivness. However, the fact, that dialects and disappearing languages are only spoken by a few people has one advantage: only if one does not understand the contents it is possible to really listen tot he sound, saying far away from their homeland these languages unfold their musical enchantment (charme?). What you find are melodies that nobody invented (conceived of?). They arise in the process of impulsive speaking, on the grounds of oral tradition. Landscapes seem to continue there with melodic heights and valleys. Often single sentences remain in our heads as catchy tunes. 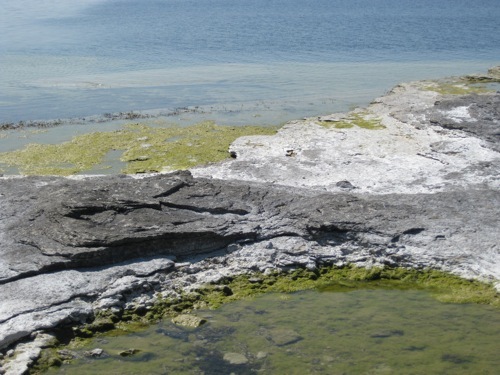 In Terra Prosodia people tell a short spontanuous story based on a personal experience. Stories about storms, excursions, accidents and so on. Particularly speakers who have spent their lifes in remote valleys or islands often speak with much more distinct modulation. This expressiveness gets lost quickly one cou live in a big city. In the compositions the contents of these stories do not matter any longer. The pieces focus on the melodies in the dialects and add second instrumental or humed melodic voice. By this also the melody of the speaking voice is underlined. In the beginning the second voice will imitate the speaking voice, later becomes indpendent and follows own directions. As soon as the focus of perception is on the melody, you can listen to both lines as independent voices. During my work I found out, that an even more exact decoding and mapping oft he intervalls (which would be possible technically) on no account lead to better results. Quite the contraray the effect of a catchy tune that occurs when you remember the melodies is based on the fact the our brain is already during hearing looking for characteristic figures and intervalls. Our ear behaves like the eye in a stalagtite cave. 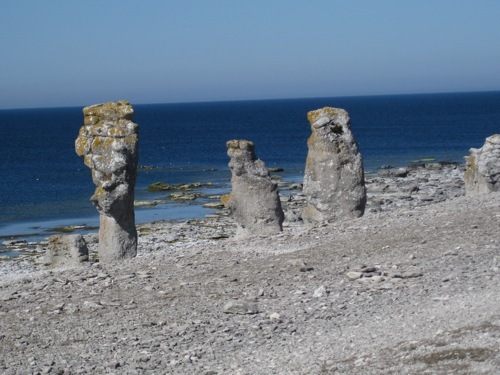 In a vast array of stalagtites and stalagmites we always remember nothing then typical single shapes. „Look, that looks like….“. Only this mechanism allows us to remember something of huge amount of shapes. Many things disappear and only then gets attention. Images, texts, sounds appear in archives in audio-visual documentations in the net. But archiving the no more living existence is partial maybe even sometimes absurd or naiv. Language only can remain vivid and interesting, if it is spoken everyday. When it is staying in a process of change, articulated by different persons, when it is depicting facts, information, thoughts, emotions and so on. Antje Vowinckel’s Terra Prosodia makes happy and sad at the same time. The musicality of the spoken word sinks in even more by the melodical adaption as in case of pure listening of an unknown lanugage. You admire the beautiness and complexity. You instantly wish to speak one of these languages yourself for not leaving them to archivars and linguists but forward them to people who would use them in future. In Terra Prosodia Antje Vowinckel succeeds in a wonderful mixture of a political important theme, a formally convincing process and a subtle and profound humour, that is hard to find. Once you have listened to the voices you will listen differently to spoken language in every day life. Ein Telefoninterview mit Antje Vowinckel. Die Berliner Audiokünstlerin Antje Vowinckel hat kürzlich auf dem SoundArt-Label „Gruenrekorder“ die CD „Terra Prosodia“ veröffentlicht. Im Mittelpunkt dieser Arbeit. die bereits im Rahmen der Prix Ars Electronica 2012 eine lobende Erwähnung erhalten hat, steht die menschliche Sprache. Allerdings versteht man kaum ein Wort. 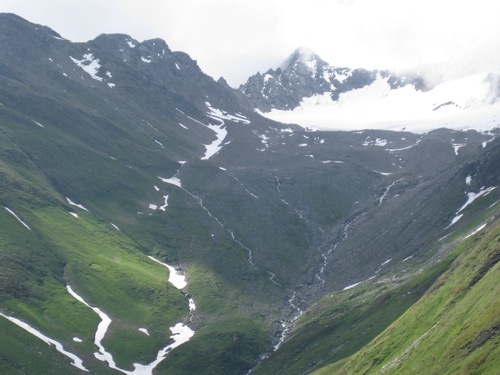 Es sei denn, man ist des Gaskonischen und des Schottisch-Gälischen mächtig und spricht obendrein Gutnisch, Provenzalisch, Wallis-Deutsch und Rumantsch. 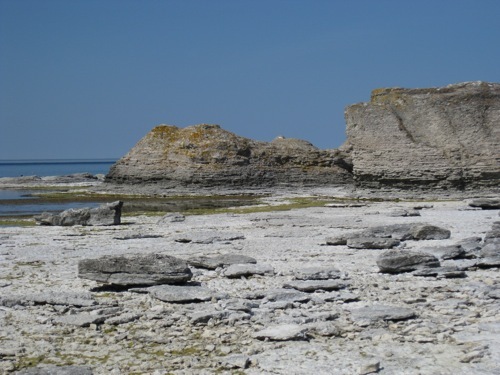 Antje Vowinckel hat Menschen in Schweden, Frankreich, Schottland und in der Schweiz besucht und sie gebeten, eine persönliche Geschichte zu erzählen. Entstanden ist ein Dokument von Minderheitensprachen und vom Aussterben bedrohten Dialekten. Doch „Terra Prosodia“ ist viel mehr als nur das. Gerade durch die weitgehende Unzugänglichkeit des Inhalts, wird man auf Intonation, Rhythmik und Melodieführung – die Prosodien eben – zurückgeworfen. So wird Stimme zu dem Instrument, dass es immer schon gewesen ist. Und um dieses noch eindrücklicher zum Klingen zu bringen, hat Antje Vowinckel die Vocals nicht bloß portioniert, umgestellt und dezent effektiert, sondern sie auch mit Sounds unterlegt – Synthesizer, Summen, Kontrabass. Sie doppeln das Sprachmaterial perkussiv und melodisch, ahmen es nach, tragen es weiter, konterkarieren es. Leben ist Improvisation. Sprache ist Free Jazz. „Terra Prosodia“ ist aus einer herzerfrischenden Idee erwachsen, überzeugt ästhetisch auf ganzer Linie und öffnet zudem Raum für konzeptuelle und letztlich politische Fragen. Niektórzy nie mają możliwości odbywania dalekich podróży, a tym bardziej posłuchania nieznanych im języków, a lubią muzykę eksperymentalną. Jest na to prosty sposób – „Terra Prosodia”. Antje Vowinckel jest artystką pochodzącą z Berlina. Studiowała literaturę i muzykę (flet/ fortepian). Od samego początku jej działalność związana jest z radiem. Na swoim koncie ma mnóstwo produkcji radiowych przygotowanych dla takich stacji jak WDR, SWR i BR. Swoje prace prezentowała już na wielu europejskich festiwalach. W kręgu zainteresować Vowinckel jest też muzyka elektroakustyczna i sound art, ze szczególnym uwzględnieniem muzykalności słowa mówionego, gdzie podstawowa melodia płynie z dialektu. Niemiecka artystka zajmuje się również tworzeniem instalacji dźwiękowych i kompozycji audiowizualnych. Obecnie na świecie używa się ok. 6-7 tysięcy języków i prawdopodobnie większość z nich po prostu kiedyś zniknie, przez co odejdzie też całe bogactwo ludzkiej ekspresji. Jednak wykorzystanie dźwięczności słowa mówionego w sztuce (jak robi to Antje Vowinckel ) ma swoją ważną cechę, a mianowicie: musi być totalną abstrakcją dźwiękową dla naszego ucha. Dopiero wtedy możemy tak naprawdę skupić swoją uwagę na jego melodii, brzmieniu i poszczególnych interwałach. Niedawno wydany album Vowinckel – „Terra Prosodia” został wypełniony dialektami pochodzącymi z różnych języków europejskich. Artystka odwiedzała kilka państw, gdzie zarejestrowała rozmowy, aby je później już w warunkach studyjnych obłożyć warstwą elektroakustycznych eksperymentów. W poszczególnych kompozycjach na „Terra Prosodia” rozmówcy Vowinckel opowiadają raczej o przyziemnych sprawach, takich jak burze, wycieczki, wypadki i tym podobne. Na płycie możemy usłyszeć kilka dialektów: Rumansch – język retoromański, który występuje w południowo-wschodniej Szwajcarii, Gutamal – Gotlandia, Provençal – południowo-wschodnia Francja, Wallis-Deutsch – Szwajcaria kanton Valais, Gascon – Francja i Hiszpania, Scottish-Gaelic – Szkocja. Każdy z powyższych dialektów wyróżnia się charakterystyczną melodią o niezwykłym ubarwieniu. W momencie, kiedy spotykamy się z kompletnie nieznanym językiem nasz mózg rejestruje tylko pewne figury. Cały ten proces przypomina po części wejście do jaskini wypełnionej stalagmitami i stalaktytami. Nasze oko zapamiętuje typowy kształt i ogólne wrażenie, a nie skupia się na szczegółach. „Terra Prosodia” to płyta wyważona i starannie równoważąca sound art, nagrania terenowe z dźwiękową opowieścią (z elementami sound poetry ) zanurzoną w elektroakustycznych eksperymentach. Vowinckel w sposób doskonały połączyła język mówiony z warstwą muzyczną. Artystce udało się pokazać, że jest uzdolnioną kompozytorką, potrafiącą zainteresować swoim konceptualnym myśleniem. Zapewniam, że przy każdym kontakcie z albumem „Terra Prosodia” wasze ucho będzie miało co robić. The linguist Mario Pei insisted that few words were pure but were part of a messy, ongoing process that borrowed, clipped, recombined and corrupted, but kept moving forward. Pei, who died in 1978, seemed less concerned about the disappearance and marginality of languages. 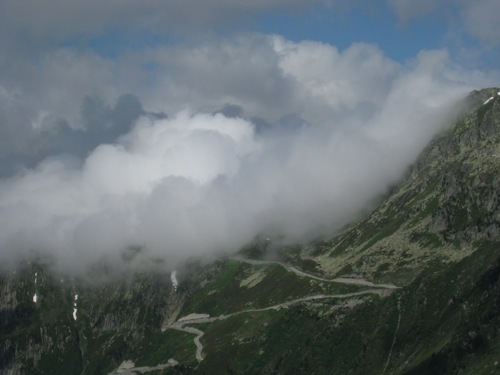 Antje Vowinckel’s „Terra Prosodia“ is a sound composition derived from dialect recordings from the disappearing languages of Europe, including Gascon, Gutamal (from Gotländ), Provencal and Scottish-Gaelic. Her premise is that removing a language from its geographical context allows us to appreciate it as if musically. The brain homes in on forms with a natural mnemonic shape, which in turn will change relative to the native language(s) of the listener. And contrariwise, the stuff in known languages tends to be semantically anchored and undynamic. It’s perhaps more of an installation piece than a home CD recording, and listeners may find the spoken passages more compelling than Vowinckel’s musical abstractions from them. The Tower of Babel. A convenient Biblical story created to explain the existence of the multitude of languages we share. But what if we all spoke the same language? Wouldn’t it be much easier? If only we hadn’t pissed God off all those years ago with that silly tower. I love languages. I may not speak some of the European ones very well but I like to have a go when given the opportunity. And when the that fails there’s always finger pointing and sign language. Its all part of the fun and you usually get there in the end. Its not like I’m involved in foreign diplomacy here, I’m usually trying to buy a meal or get a bus somewhere. Travels abroad used to be a lesson in how much schoolboy French you could remember but now that everyone speaks English its less of a thrill. When working abroad in the 90’s I did have to resort to ordering food in rural Chinese restaurants by pointing at several items on a menu covered in characters I couldn’t understand hoping that some of it would be edible, but by adding the Chinese word for beer, I at least got a drink. Some of the food turned out to be pretty good too. Languages continue to die out as the world shrinks ever smaller. I read recently that the Danes are worried that their children now find Danish harder to learn than English. The single commonplace French language is also a fairly modern concept after the 17th century French government of the day realised that a nation that didn’t speak a common tongue was virtually ungovernable and deliberately eradicated numerous local tongues. The list of extinct European languages alone runs into the dozens. 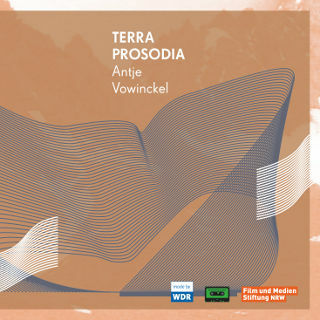 Antje Vowinckel’s release Terra Prosodia collects several European languages that are in danger of dying out so that we can hear what they sound like ourselves; Romansch, Gutamal, Wallis-Deutsch and a couple of obscure ‘French’ examples are reproduced for our edification. Its an educational undertaking and one of which I wholeheartedly approve. If only it stopped there. By adding pointless bits of noodling electronica to these voices [twanging rulers anyone?] Vowinckel [a sound artist] actually detracts from them. I obviously don’t understand what the speakers are saying but I’d like to hear what they do have to say without a cat taking a walk along a synth. I’m at a loss as to why anyone would think this would be a good idea at all. I think my only prior exposure to Vowinckel’s work was on a shared disc, on Bowindo, with Alessandro Bosetti and a track on the Echtzeitmusik Berlin collection, so this is my first experience of her music in any depth. Here, the central idea is simple enough: the inherent musicality of certain dialects, in this case, six examples of speech forms in some danger of disappearing: Rumansch (Switzerland), Gutamal (Gotland, in the Baltic Sea), Provençal (France), Wallis-Deutsch (Switzerland? ), Gascon (France) and Scottish-Gaelic. She asks native speakers to recount a personal story, records them and, often, edits and reconstructs this core material, including the repetition of phrases. She pairs this with electronic sounds, I think largely via computer program but possibly with some intuitively applied, which accentuate those more purely musical aspects of the language, often beginning in unison, more or less, with the speech but diverging somewhat, taking on an obbligato kind of role. The spoken words are indeed fascinating to hear and, at least to this English speaker (presumably to a German as well), hold a good deal of content that one thinks of as musical. I found myself wondering how/if this perception might vary depending on one’s native tongue. Part of me, admittedly, might rather have heard these words unadorned but Vowinckel’s additions are usually quite complementary and well-considered. The sounds, all electronic (save for, per the notes, some „hummed melodic voice“ that is heard on the final track) take on, at different times, the character of percussion, low strings, sine-like tones. Once, I was reminded very much of a doussn’gouni but on another, unfortunately, Keith Emerson at the helm of a Moog. As intended, it’s not hard to hear both elements as melodic lines and that’s where the real interest is. For example, the elderly male speaking Gutamal in the second track can almost be heard as a kind of bass clarinet, mixing beautifully with, in this case, a range of percussive, breath-like and rattling sounds. The youngster (hard to tell if it’s a boy or girl) speaking Provençal has a wonderful flute-like quality, winding through light tapping that echoes the voice’s rhythm and pitch. Throughout, with an arguable misstep now and then, it’s an absorbing listen, part anthropology, part appreciation of the very sensual nature of the voices. 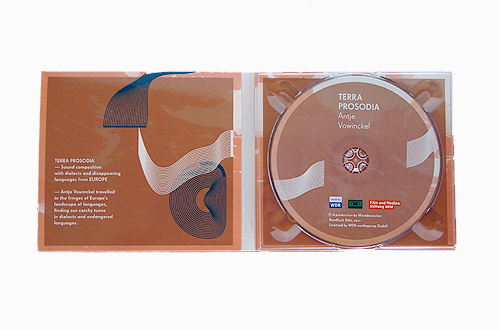 ‚Terra Prosodia’ comes in a shiny digipak, with liner notes from Vowinckel and Christina Kubisch. The album has eight tracks, all to the shorter side of things: the longest, nearly eight minutes; the least, just over two minutes. The pieces have all been constructed from short recordings that Vowinckel has collected, of disappearing European dialects. Vowinckel’s notes inform us that her intentions are to present the spoken words as pure, melodic sound, deliberately stripped of context and connotation. These words are seldom interfered with; sometimes they are looped or stuttered, moved around the sound-field, but ostensibly they are presented bare. Instead, Vowinckel accompanies each ‘short spontaneous story’ with cryptic sound elements; which she describes as being inspired by and tied to the speech, but independent. At this point, I need to abandon my measured words, and just cut to the quick: this might be the most baffling album I’ve heard for a long time. The minimal accompaniments to the monologues are frankly brain-halting – and not in a good way. They could be largely, and cruelly, described as ‘a toddler with a casio’. I’m aware that that’s very harsh, but it hopefully gives a sense of what’s going on. They often sound like some kind of atonal, arhythmic ‘fake jazz’ backing; shadowing the voice or engaging in call-and-response routines. If this wasn’t enough, these – almost parodic – backings are conducted using the worst sounds possible: either casio presets or sounds very akin to them. This reaches a zenith of hell on the seventh piece, ‘Gutamal’, which pairs a female voice with a galloping double bass, and a brass/woodwind keyboard sound (begins shouting) set to portamento. Portamento. It sounds absurd. There are other, more colourful, elements (percussive ruler twangs, humming), but literally nothing which doesn’t arouse bafflement or sad laughter. I do believe its one of the worst things I’ve ever heard. At the risk of sounding snooty, I’m very sure that Vowinckel is doing something very ‘clever’ here – most likely analysing the dialects in terms of rhythms and melodic intervals (etc) and then constructing sympathetic accompaniments. (This would account for the distinct amusicality of much of it.) But, regardless of the merits of this approach or idea, the simple fact is that the sounds chosen are just awful – or rather, they carry awkward baggage which can only evoke a response of laughter or confusion. Interestingly, Kubisch’s notes refer to a ‘subtle and profound humor’ in the album, which really just raises even more questions: is ‘Terra Prosodia’ meant to be funny? Is the actual sound of people speaking funny? Exaggerated personal speech quirks can certainly be amusing, but: really…? I mentioned the shiny digipak in my first sentence of this review, and that’s somewhat important. If this had been given to me on a blank cdr, with the message, ‘You have to hear this – its crazy!’, I think i would have ‘enjoyed’ it – then filed it under ‘Cool Outsider Stuff – to be listened to about once every two years’. But the album is presented with all the trappings of high art – sombre liner notes, a scientific ‘angle’, and artwork that evokes old electroacoustic/tape albums; it provokes a slightly different response. The base response for both ‘versions’ could be boiled down to a bafflement, but with a different tone for each. To my mind, the ‘outsider’ version would evoke a merry bafflement – whereas the Gruenrekorder version evokes a somewhat sad, slightly angry bafflement. Its presented as something worthy, but falls way short of its own evaluation. Of course, this shows the difference context can make; so, if we take Vowinckel’s suggestion of removing that context from the sound, we’re left with a recording that is essentially… a bit rubbish. Vowinckel’s Terra Prosodia (which received an honourary mention for the 2012 Prix Ars Electronica) is compelling also, albeit in a different way. The fascination here lies in attending to the vocal sounds as pure sound, as melodies that emerge simply through vocal utterance and the richness of human expression. There are currently approximately 6000 spoken languages, many of them destined to disappear. An arguable upside is that if a dialect or disappearing language is shared by a small number of people, those who don’t speak the language can experience the utterance as pure musical expression. For Terra Prosodia, Vowinckel asked a number of people to present short, spontaneous stories based on personal experiences. But though the stories recounted deal with storms, excursions, accidents, etc., their content doesn’t matter: what does is their manner of presentation. The recording doesn’t, however, feature a single voice within each of the eight pieces; instead, Vowinckel augments that primary element with a second voice or instrument, the latter at times a soft, synthesizer-like keyboard. It’s a smart move in that it makes for a much more stimulating listening experience, especially when call-and-response effects occur between the voices and when instrument sounds slither and scrape through the background. In addition to the phasing treatments applied to the melodic instrument, “Rumansch” includes cello-like sounds plus percussive noise that suggests an object being dragged across a concrete surface; the stop-start movements of the speaker in “Gascon,” on the other hand, are mirrored by acoustic bass-like accompaniment. It all adds up to a thirty-five-minute recording that’s admittedly odd but also engrossing. Listening to it through headphones, one finds oneself attending intently to the diction of the speaker in question, the timbral qualities of the voice, and the changes in pitch and tempo that regularly occur within human utterance. While some of the languages spoken sound alien, the one spoken by the young boy in “Provencal,” for example, sounds like a French dialect, whereas the one spoken by the older male in “Wallis-Deutsch” strongly suggests German. A headphones listen also enables the listener to better appreciate the work’s spatial dimension, as Vowinckel gives careful attention throughout to the placement of elements within the recording’s mix. Excellent stuff all around! 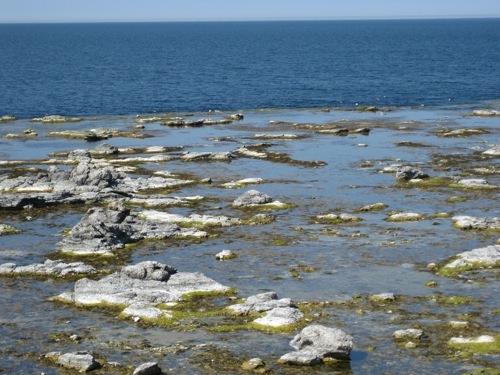 Great, moody music, carefully balancing sound art and music, field recordings and soundscapes. Мы часто слышим о том, что надо спасать вымирающие виды растений и животных, но мало кто говорит о том, что в спасении (или, хотя бы, в пристальном внимании) нуждаются языки. Являясь не только передатчиком информации, но и носителем ценного культурологического и этического кода той или иной человеческой общины, они составляют некий Гипертекст – и с исчезновением того иного языка или его диалекта в этом Тексте теряется что-то важное, невосполнимое. Берлинская артистка и радиоведущая Антье Вовинкель отправилась в путешествие по Европе, чтобы запечатлеть особенности редких диалектов, а потом, в студии, превратила эти записи в sound art проект, придав им неожиданное, но всегда очень верное звуковое оформление. Приготовьтесь к тому, что различные люди (дети, мужчины, женщины, старики) будут рассказывать вам истории. Неважно о чем: о погоде, о спорте, о значительных и не очень происшествиях в их жизни, одним словом, те истории, которые вы легко можете услышать на лавочке возле дома или в очереди супермаркета. Приготовьтесь к тому, что эти истории будут вам непонятны, а проскакивающие в речи знакомые слова быстро растворятся в необычной музыке слов незнакомых, прошедших через исторический и социальный фильтры той или иной группы людей. Может быть, эти истории даже не закончены или вообще представлены здесь без начала и конца, ведь Антье забирает от них мелодическую, лингафонную суть, выделяя в потоке слов характерные только для данного диалекта особенности и «смакует» их, заставляя повторяться, дробит на фрагменты, которые потом смешиваются в случайном порядке, вновь «выруливая» на знакомую дорожку фраз и предложений. Звуковое, а, точнее, шумовое сопровождение историй минималистично: треск коротковолновых приемников, кусочки музыкальных произведений и спонтанные импровизации на «настоящих» инструментах и подручных предметах. Как ни странно, но этот шум отлично дополняет звучание слов и усиливает вызываемые ими образы самих рассказчиков: например, когда за дело берется солидный мужчина, его сопровождает почти что джазовый бас, а когда о чем-то рассказывает ребенок, на заднем фоне царит управляемый дребезжащий хаос детских игрушек. Это придает незнакомым словам больше образности и правдивости, ведь поток шумов можно сделать ироничным, а можно придать ему драматические оттенки – в полном соответствии с сюжетом повествования. Повествования, которое, в случае смерти диалекта станет совсем другим и, может быть, потеряет или приобретет новые смыслы, станет частью следующей истории, которая погребет под собой эти простые и обыденные фрагменты чьей-то жизни. И пусть это обычный процесс и никуда от этого не деться, но мы сейчас имеем уникальную возможность сохранить это для настоящего и будущего, что альбом «Terra Prosodia» и помогает осуществить.